Materials powder coated steel, pvc cord. Light source 1 x E27. Care instructions use a soft dry cloth to clean. Do not use any cleaners with chemicals or harsh abrasives. Avoid using water. 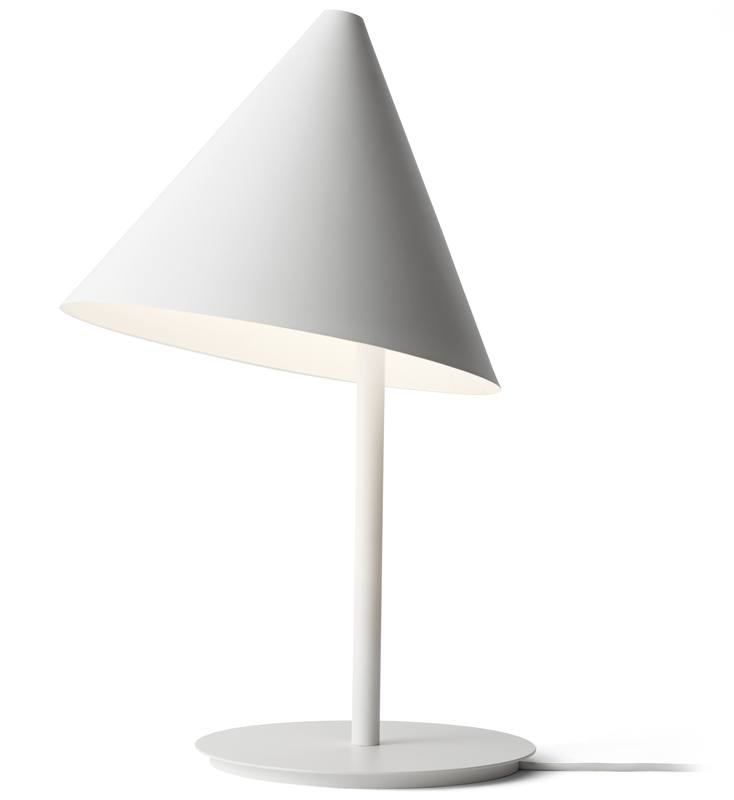 Conic is a table lamp that is both practical and playful: its conical lampshade – from where it gets its name – is off-centre, which gives it an asymmetrical and dynamic appearance. Its designer, Thomas Bentsen, is interested in materials and their limits, forms and functionalities as well as the durability of design.